This beautiful fuschia definitely brought some warmth to the weekend. We were very cold here in the Pacific NW and the wind was an extra treat. Good knitting weather to be sure. I hooked up with my sisters and a friend and saw New Moon on Sunday afternoon. It was better than I thought it would be. I'm definitely Team Edward, but Jake was easy on the eyes. I hope you all had a great weekend and got a chance to do something just for fun! Happy Monday! I hope you have a great start to your week! Thankyou for brightening up this cold, windy Monday. My monday has started pretty great, chocolates from Alma Chocolates!! Mmmm, yay for birthdays. Its cold down here too! 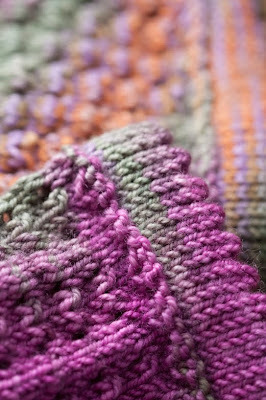 Stay warm...oh, if only we could stay inside and knit all day! Love love love those pictures of Cotty! I think you sent some of your Pacfic NW weather down our way. Perfect for knitting. Burrrr! That is some pretty fine knittin'. The pics are so cool. Would you believe Mt Diablo and encircling hills were snow-covered this morning, and at 12 noon it was all still white?! 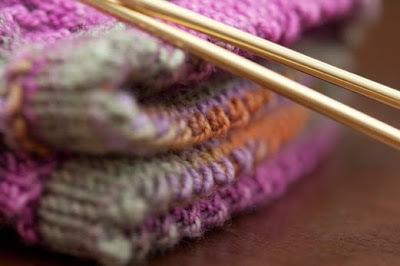 you fill me with knitting envy!!!! 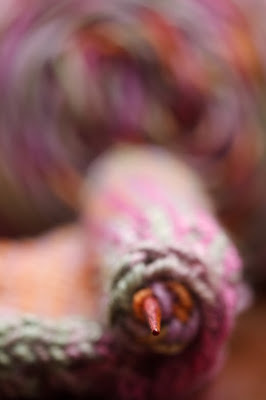 Beautiful colors, beautiful knitting, beautiful photographs!!!! I love it all! 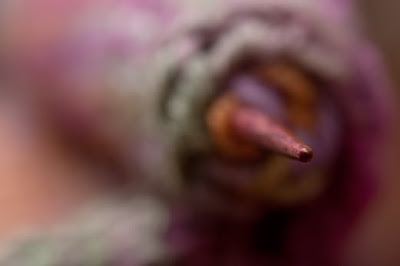 The depth of field in your images are really something...love the macros of your work. 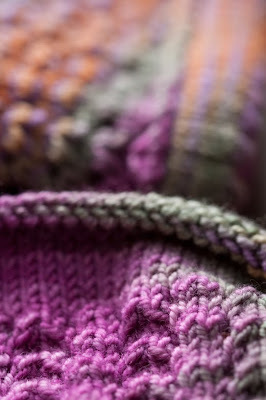 Your knits looks so beautiful and detailed and fun to wear with those exquisite colors. Thanks for the link to what looks like a really nice sock pattern.